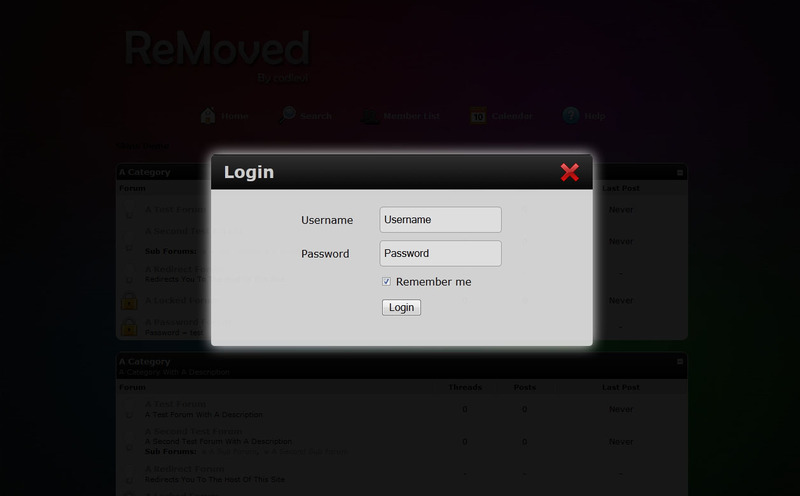 ReMoved is a very colorful, dark skin for all kind of website types. This is my first MyBB skin I've ever created. If you find bugs, report it in bug forum: http://codlevi.netai.net/forumdisplay.php?fid=3.